At the eastern borders of Europe, the Caucasian leopard was common only 100 years ago. But by 1950, the leopard population had dramatically decreased. In some areas it became entirely extinct, due to human activities. The political and social changes in the former Soviet Union in 1992 caused a severe economic crisis. This weakened the formerly effective protection systems. The leopard’s range rapidly declined further, as people persecuted the leopards and hunted the wild ungulates. Inadequate baseline data and lack of monitoring programmes made it difficult to evaluate the leopard’s situation. The negative trend grew stronger, due to declines of mammalian prey species. said Max A. E. Rossberg, Chairman, European Wilderness Society. Back in 2007, WWF developed with IUNC and the Cat Specialist Group the very first Strategy for the Conservation of the Leopard in the Caucasus Ecoregion. A group of 37 representatives from governments, experts from all six Caucasian countries and international specialists developed this document. The process was coordinated by WWF-Caucasus Programme Office. 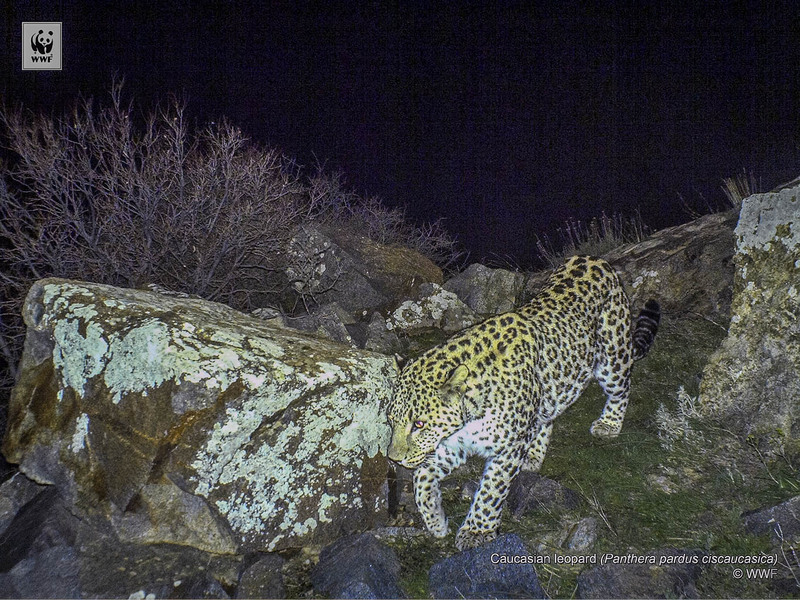 This Strategy guided the Caucasian leopard conservation processes in the following years and facilitated the development of the National Action Plans in Armenia, Azerbaijan and Georgia. The strategy focuses especially on the conservation status, implementation of the National Action Plans and identification of the leopard conservation habitats and connecting corridors. Finally, it prioritises the increase the leopard population by 50%. In 2017, a group of 47 conservationists, scientists and country representatives gathered again in Tbilisi. The objective of this meeting was to review and update the transnational Leopard Strategy. One outcome of the meeting summarised the leopard conservation project achievements. Tripling of Protected Areas in key areas for leopard conservation territory resulted in 150,000 ha of new effective Protected Areas. Higher fines for leopard poaching, improvement of law enforcement, and a hunting restriction in Nakhchyvan Region of Azerbaijan. A widely implemented camera-trapping monitoring system. An innovative approach for leopard conservation led to the establishment of the Leopard Caretaker Network. The network includes well-equipped, enthusiastic, young, local representatives. They were trained and connected to the governmental and WWF responsible institutions. The network includes also people, working on protection of the leopard outside Protected Areas. The leopard became much more visible: around 200 photos of leopards depicted 10 different individual animals. Two reproductive groups in the Zangezur Mountains (Nakhchyvan/Azerbaijan-southern Armenia) and Talysh Mountains of Azerbaijan, and monitoring of the five new-borns in these two areas by camera-traps. Lack of information from conflict zones. The conclusion of the workshop’s participants was that, although the strategy provided an important framework for the protection of leopards and its prey, further improvement is still necessary. said Vlado Vancura, Deputy Chairman European Wilderness Society.